What exactly do I mean when I talk about hacking reality? I believe that we all create the realities of our own lives. This creation begins in our minds with imagination. Whatever reality we can imagine for ourselves we can make manifest in our physical world that we call reality. How Does Hacking Reality Work? As human beings we are blessed with a powerful ability to imagine the future. For some people this blessing can become a curse. When imagination is used negatively it becomes the source of worry and fear in our minds. When we always imagine the worst that can happen and we feed our fears, doubts and worries, invariably the dreaded outcome comes to pass and some terrible events happen in our lives. This is what we often call a self-fulfilling prophecy. We believe the worst and subconsciously make it happen. People don't usually have a problem with accepting my assertion that fear and worry lead to loss and terrible things happening in life. They accept it because their life experience has taught them that it is true. However, if I assert that positive thinking and dreaming big will manifest fabulous things in people's lives they have a much harder time believing it. Not many of us have developed the skills of positive thinking and dreaming big. Most of us are caught up in a spiral of negativity, always thinking, speaking and expecting the worst to happen. Whichever of these two states of mind you choose, positivity or negativity, over a prolonged period of time, will determine the reality that you experience in the physical realm. Thinking positively one day per week will not create the reality that you want for yourself. We must tip the balance so that you are thinking positively and feeling fantastic every day of your life. When the scales begin to tip in favour of positive thoughts and energy, your life will take a definite turn for the better. So! Hacking reality is all about manifesting your ideal life. It all begins with your mindset, or what I like to call the inner game. I believe that it is more important to spend time mastering the inner game than trying to master the outer game of life. Master the inner game and the outside world (reality?) will take care of itself. What can you do to master the inner game and hack reality for yourself? Mastering your inner game should start the moment you wake up every morning. Develop morning routines that put you in a state of positivity for the coming day. Personally I use a mind programming CD that I put on and listen to before I get out of bed. Then, once I am up and dressed, I make myself a cup of tea and go through my morning success routine. Writing out my vision and goals. All of this is designed to get me into a very positive state of mind and feeling awesome. Then I hit the gym for an hour to flood my brain with the happiness hormones, dopamine and serotonin. I refuel with a protein shake, a multi-vitamin and mineral complex and a banana. Then, after a shower, I'm ready to focus on building my business. I'm usually at my desk for 8am. In this amazing feel-good state I am able to be at my most creative for producing content for my blog, which is the primary source of leads for my business. Why Does Hacking Reality Work? One of my favourite books is The Science of Getting Rich by Wallace Wattles. The application of this science of getting rich is at the core of my philosophy of #hackingreality. I believe this “thinking stuff” to be consciousness itself. Everything is consciousness and forms take shape from this consciousness. Our mind, as a thread of this consciousness, is able to influence the vast ocean of consciousness to create whatever we can imagine and turn that vision into our daily reality. Has anyone ever tried to put you down by telling you that ”you are not the centre of the universe” or “the universe doesn't revolve around you”? Well! I want to tell you that the universe does revolve around you. You are the creator of your world and as such it very definitely has to revolve around you. One of my favourite philosophers, Douglas Harding, theorized that each of us consist of multiple layers. We normally think of ourselves as an individual body walking around in a world that is outside of ourselves. However, Harding saw things very differently. If we look at ourselves more closely, we see that our human body is made up of various organs. Look closer still and we see those organs are made up of individual cells. Then molecules. Turn up the microscope and we see that those molecules are made up of atoms. Look even closer and we see that those atoms are made up of protons, neutrons and electrons. Most people's knowledge of themselves ceases at this level. The outdated Newtonian view of the world as a solid physical state, as still taught in most schools, prevents people from imagining anything smaller than an actual atom. However, physicists today are digging much deeper. It is now recognised, for example, that an electron is not a solid physical particle at all. In fact, an electron is only a wave of potentiality. Only when an electron is observed does it take on the properties of a solid particle. The smallest scale that today's physicists have been able to investigate is known as the Planck scale. I believe that below the Planck scale is the realm of consciousness, which I envisage to be an ocean of potentiality. Our thoughts dip into this ocean of potentiality and trigger a wave of creativity that manifests our reality. Manifesting outwards again this ocean of potentiality creates our atoms, cells, organs, human body and then continues outwards, as Douglas Harding observed, to the multitude of regions that we think of as being “our world”: the Earth, the solar system, the galaxy, the universe and even, probably, a multiverse beyond that. “Man may come into full harmony with the Formless Substance (consciousness) by entertaining a lively and sincere gratitude for the blessings it bestows upon him. Gratitude unifies the mind of man with the intelligence of substance so that man's thoughts are received by the formless. Here Wattles highlights the importance of gratitude in the creative process. I express my gratitude for the blessings in my life daily through my gratitude journal. I take time every morning to list the things that I feel grateful for in my life. I believe that it is also important to really feel that gratitude as you write your list. It is the feelings that give power to the thought and the word. I also believe that it is important to feel gratitude for the things that you want to manifest in your life. Feel that gratitude as if what you want in your life has already manifested. e.g. “I am grateful for all of the abundance in my life”. Feel genuine heartfelt gratitude for that abundance even if you are currently broke and don't know where your next meal is coming from. This is the visualization process in action. Regular, at least daily, contemplation of your vision is essential. This is why I make writing out and contemplating my vision a big part of my morning success routine. Again, belief that your vision is becoming manifest and generating a feeling of gratitude for that is re-iterated. Visualization + faith + gratitude = #hackingreality success. “I am so very grateful to be a successful online entrepreneur. I am so very grateful that I am earning $10,000 per day from my online business. I am so very grateful to be blessed with an ever expanding downline of over 100,000 people in my network marketing organization. I am so very grateful for my wonderful health and vitality. I am so very grateful for my lean, strong, muscular, ripped physique. I am so very grateful to be living in my beautiful home overlooking the ocean. I am so very grateful to be blessed with wonderful family and friends. I believe that it is important to feel and express gratitude for every little thing that you want to manifest in your life. It is also essential to write out and visualize your goals as though they had already been achieved and to express your gratitude for that. Another visualization technique advocated by many is the use of vision boards where you pin pictures of things that you want to manifest. I don't have a physical board where I pin pictures, I prefer to use Pinterest to create virtual boards with images of what I would like to have in my life. From this passage I believe that it is essential to have a business of your own through which the creative process can manifest your riches. The possibilities for trade and commerce are much improved today compared to when Wattles was writing in the early years of the 20th century. The advent of the internet age has produced so many opportunities that just weren't available to our parents and grandparents. 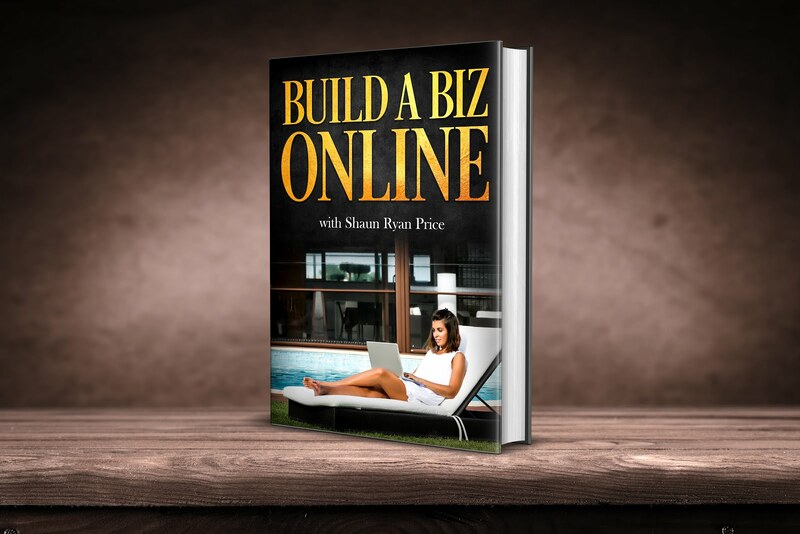 As an online marketer I find it absurd that not everyone has their own online business today. The start up and running costs are so minimal it is ludicrous not to even try. The death of the old industrial age technology and thinking continues apace. The idea that big corporations will continue to supply adequate job opportunities for all is a fallacy. Very soon we will all, of necessity, be required to create our own jobs and income. The network marketing profession realised this trend very early and continues to offer the best opportunity for anyone to start their own business and create the life of their dreams. I have embraced the new paradigm of trade and commerce and I hope that many others will soon come to accept that entrepreneurship, via the internet in particular, is the future for all of us. Copyright 2018 and beyond Shaun Ryan Price. Simple theme. Theme images by gaffera. Powered by Blogger.